If you can't find the answer your looking for here simply call our membership team on 01792 466500 or you can email us here. Check out the other member benefits here. It is really simple to join and get started as it is an online process. You can either join from the comfort of your own home using this link and following the steps. Alternatively, if you would prefer you come to the LC and one of our team will be able to help you join using one of our kiosks. When you join one of the fitness team will give you a call to get you booked in for your personal welcome and the reception team will have your membership card and FREE parking pass ready for you for your first visit. If you would like to make an appointment to come in and join just call us on 01792 466500 and ask for the membership team. You will need to have an email address to complete the on line process, if you come in to see us we would be happy to help you set up an email and it's free! All payments including your 1st month's membership and joining fee are taken by Direct Debit straight from your bank account. Can I pay cash or card for my membership? Unfortunately all our memberships are on direct debit - you can buy a one off session for the gym to try us out for £5.95 at reception. Your first payment will out of your account 2 weeks after you join. Your first payment will consist of your first month's membership fee plus your joining fee. Subsequent payments (monthly membership fee only) will then be taken each month on the date you joined. No problem at all. The Harlands Group administer all of our direct debit payments all you need to do is to give them a call on 01444 224397 and they will make the change for you. When does my membership start and when can I start using the facilities? You will receieve an email confirming your membership along with your membership number and pin number for booking your classes online. Once you join one of our fitness team will call you to get you booked in for your personal welcome and your membership card and FREE parking pass will be waiting at reception for you on your first visit. What happens if I have a problem with my payment? The Harland's Group administer all of our direct debit payments. All you need to do is to call them on 01444 224397 (Mon-Fri 9am-5pm) and they will try to help you. Where possible it is always best if you can ring them as soon as possible once you realise that you might have a problem. Can I take a break (freeze) my membership and how much does this cost? Of course you can, if you chose to take a break (freeze) from your membeship no payments will come out for those months you choose (maximum of three months) with no questions asked. This is a great option if you have an injury or if you are going on an extended holiday. If you would like to freeze simply call the Harlands Group on 01444 224397. If you are looking to leave it may be an option to freeze your membership rather than cancelling completely. If you chose to freeze your membeship no payments will come out for these months (maximum of three months) and you will stay on your existing membership price which could save you money if you re-join in the future. If you would like to freeze simply call the Harlands Group on 01444 224397. If you are still looking to cancel your membership just call Harlands on 01444 224397 and they will help you - please note that you must give one month's notice to cancel. Check out the full T&C's of your membership here. Can i re-join after I leave? Of course you can, we always welcome new members. Make sure you call our membership team on 01792 466500 to see if we have a special promo code you can use. Am I tied in for a certain amount of time with my membership? We offer three types of membership contract - a 1 month, 6 month and 12 month membership. You are under contract for the relevant period of whichever membership type you choose when you join. After this time you can leave by providing 1 month's notice. Check out the full T&C's here. At the LC we have the largest unique fitness class programme in Wales with around 120 classes every single week. 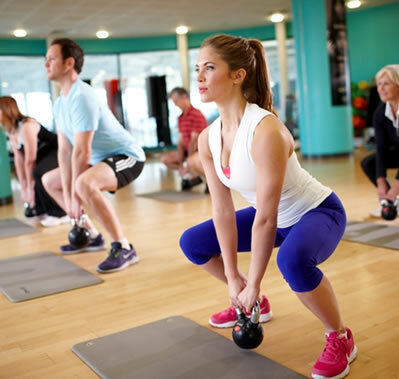 These range from the ever popular spin to yoga, Les Mills Body Attack to Kettlebells. Check out our latest timetable here. 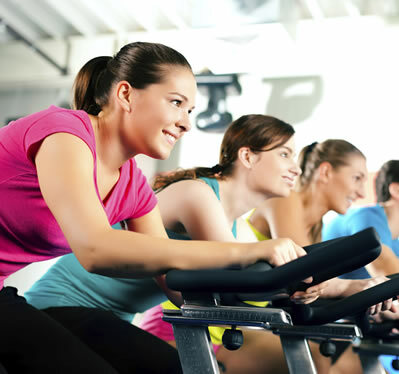 As a member you can participate in as many classes as you want a week all at no extra cost as part of your membership. We always advise that you pre-book your classes and as a member you can do so up to 8 days in advance. It is really easy to book your classes with the easiest way being to book online using your membership number and pin number (if you have lost these just call us on 01792 466500 and we can give these to you again.) Alternatively you can book your classes at reception or using one of our in-house booking kiosks. If there is space on a class when you come in then you can of course you can join in without pre-booking. You can either park in the small car park directly next to the LC or the bigger car park (opposite Tesco.) If your still not sure where you can park ask one of our team who will be more than happy to help you. How can I arrange to have a gym Welcome or programme review? When you join one of the fitness team will call you to get you booked in for your gym welcome, alternatively you can either pop in or call us on 01792 466500 and we can book your gym welcome for you. If you would like a programme review or if you would simply like to meet up with one of the fitness team again you can call us on 01792 466500 or speak to any one of our team on your next visit. At the LC we always suggest having a full welcome which could take up to 45 minutes. This means that one of our gym team can design a personal fitness programme specific to you and your goals which in turn will help you see results. Please come in appropriate exercise clothing and trainers - whatever you feel comfortable in. What if i've never used a gym before? If you have never used a gym before then please don't worry - you are not alone, many of our members are first time gym users too. Our gym welcome and programme appointments are designed to get you familiar with the gym and the equipment and get advice from one of our expert team. In future sessions there will always be someone on hand in the gym to help you should you need any. What if I am a regular gym user and don't want a gym welcome? If you've used a gym before that's great we can use the welcome to make sure you really understand all we have to offer. It's also a great opportunity to get some advice, support or just have a fun with one of our expert team members. It is FREE - we are here to help you get results so there is no cost for any of this support for as long as you stay a member with us. Of course you can - we actually encourage you to. Regular programme updates your programme develops as your fitness improves and it keeps it fun and interesting - don't get bored a change is as good as rest! Don't forget this is FREE for you as a member! I am under 16 can I use the gym? Of course at the LC we offer gym membership from the age of 11 years old with all the great member benefits of our adult membership. Call the membership team on 01792 466500 for more information.